I won’t say I’m not worried by the incident at all, it’s my FACE after all! But I really need to get all the BIG pusty, disgusting pimples out as they are spreading to my whole cheek! So here’s a little introduction post on my new skin care consultant (guardian angel!) and about how I got to know about her before I start showing (off) my recovering face in my subsequent post! Pssst… The founder of the beauty salon is a gorgeous Celebrity Beauty Consultant! 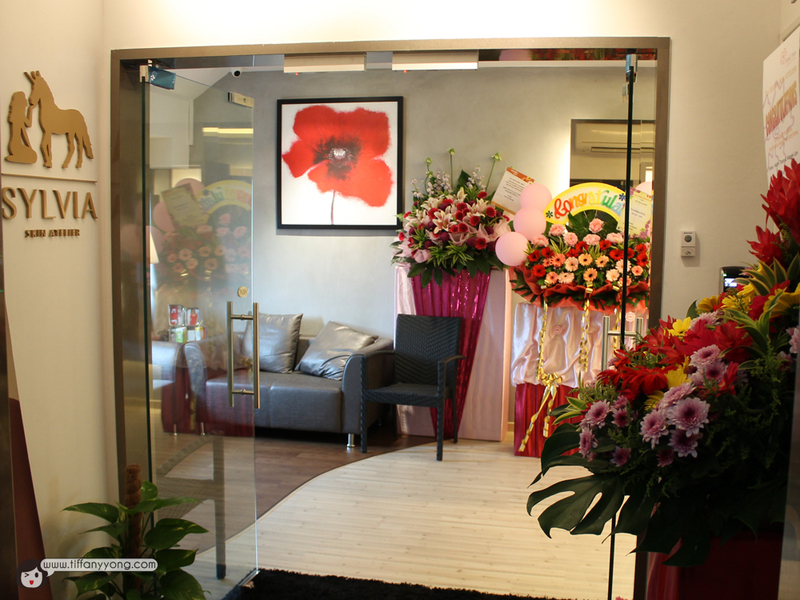 Atelier is the French word for “workshop”, so Sylvia Skin Atelier basically means Sylvia’s Skin Workshop (named after the founder: Sylvia Yeo). The mystical unicorn is possibly the most symbolic representation of ancient Greek mythology. The horn is believed to have the powers of healing and detoxification. Synonymous with strength, grace, and purity, the majestic unicorn encapsulates beauty and purity at their finest. 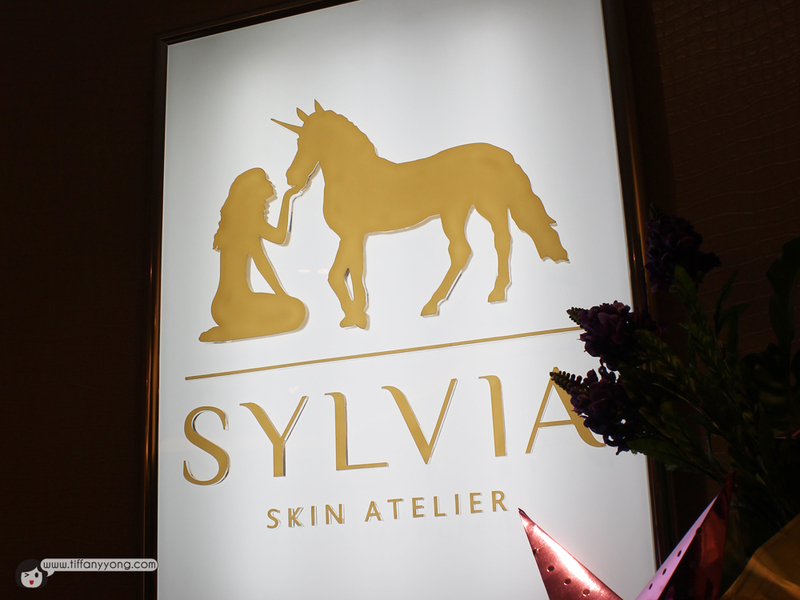 It is with these endearing and timeless attributes that gave birth to Sylvia Skin Atelier. 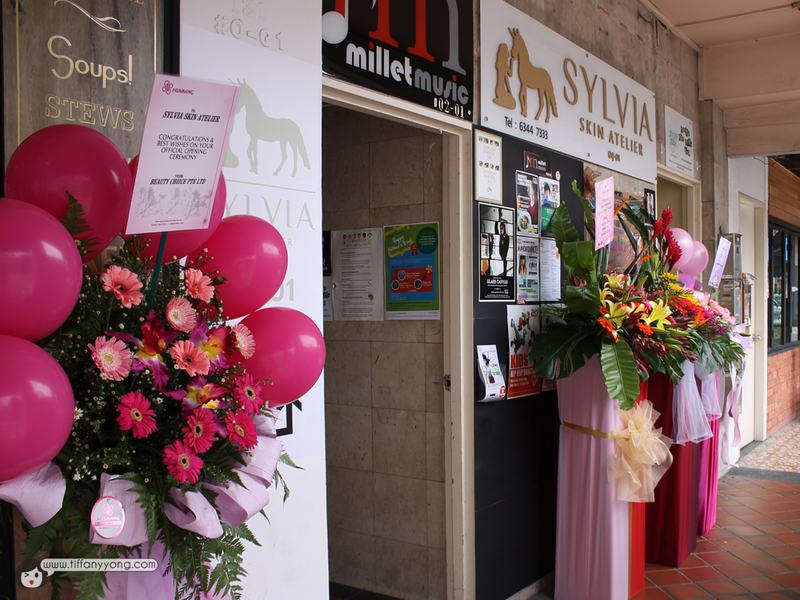 So Sylvia Skin Atelier is located along 131 East Coast Road, diagonally opposite I12 Katong Shopping Mall, on the 4th floor of the building where Awfully Chocolate is! Yes, so the lady is the founder of Sylvia Skin Atelier, Sylvia Yeo (with a pimply me. It’s unedited, so you still see those marks beneath the thick makeup!). If you find her familiar, she was a Celebrity Beauty Consultant for various Mediacorp show (“Watsons Beauty Unveiled II” as well as “ by Mediacorp Channel 8), modelled for Dr. Brandt Skincare. and co-founded a new, self-made facial mask formula in conjunction with Hada Labo. She was also a feature writer for Seventeen magazine! Besides that, Sylvia previously does home-based facial (So she’s definitely NOT new in the beauty/facial industry) where customers go to her house for facials. After knowing her credentials, I felt safer as I will be in good hands. I went through a basic consultation with Ms Sylvia and she was generously sharing with me many of her beauty dos and don’ts! I’m not claiming that I don’t know any of the tips, after-all, being in a bad skin condition for so long, I had really read up, researched and sought for many help before I finally came to her. But there were still a few things I didn’t know (about my skin) when I had consultation with her! So Sylvia came across my “very brave” entry on the TCM treatment where I showed my bare (pimply) face, and decided that she should “save” me! (haha, I really NEED saving) I really think it is very courageous of her to take up the challenge, as she can easily get a pretty beauty blogger to endorse and review her services (Just like how slimming product companies get skinny actresses to be their ambassadors). P.S. I was seriously touched by her statement. Finally, someone who didn’t approach me and ask me what’s my blog stats but saw the potential in me my skin! Besides that, I like how Sylvia actually tries out all her products before allowing her customers to use, and yes, she told me she get breakouts too (though close-up her skin is sooooo NICE la- at least now I know she’s also human :P). I’ve currently had three 3 facials done with them now, and will be sharing my experience and of course, the long-awaited pimply (albeit recovering) unedited, raw face photos soon! Where is Sylvia Skin Atelier? 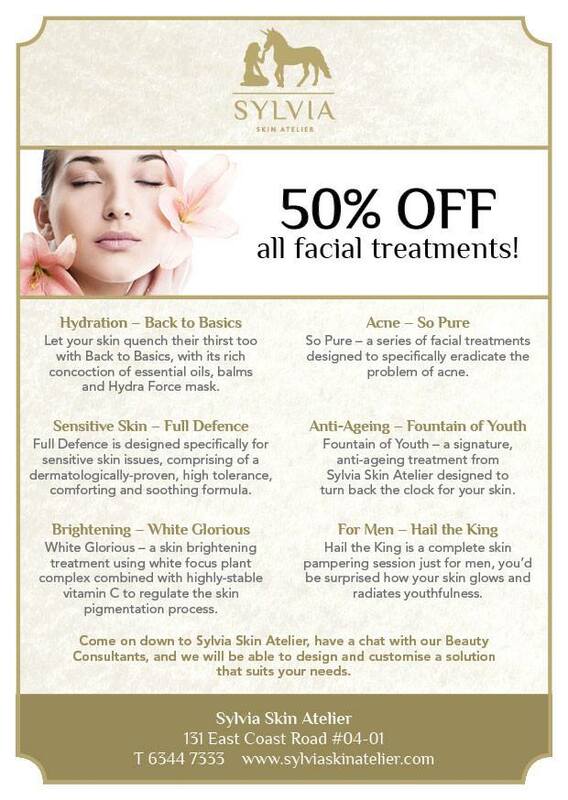 Do like Sylvia Skin Atelier Facebook for new promotions! Disclaimer: Please be rest assured that even though the products and services were sponsored, it does not have any bearing on the content of this post. Opinions stated are genuine and honest. Also note that all sources, information, content, links are valid to change at any time.